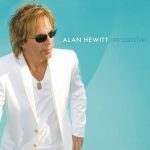 Retroactive is the fifth solo album by Alan Hewitt, released in 2010. Alan Hewitt is an American composer, producer, recording and performing artist. He currently serves as keyboardist for The Moody Blues since 2010. Hewitt was born in Petoskey, Michigan and attended Berklee College of Music graduating in 1978. Hewitt served as a producer for over half a decade alongside Maurice White of Earth Wind and Fire (EWF) with the Greatest Hits album going platinum in 2000. Hewitt performed on the Cherry Pie record with Warrant, which went platinum in 2004.